(HARLINGEN) – Saul Pizano liked to watch space shuttle launches on television when he was growing up. Now, that fascination with space is enabling the Texas State Technical College student to learn from professionals in their environment. 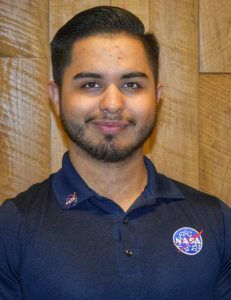 Pizano, 22, began a summer internship in June in NASA’s Lithium Ion Battery Thermal Management System at Johnson Space Center in Houston. His role is to help design a thermal management system used in batteries for usage in space. He is scheduled to finish in mid-August with an option of continuing in the fall. “Anything that is sent into space requires power requires batteries,” Pizano said. Mark Rosas, an instructor in TSTC’s Architectural Design and Engineering Graphics program, said internships are important for a student’s future success in the workplace. Pizano took a week off from his internship to compete in late June on a two-man team in Additive Manufacturing at SkillsUSA’s 54th annual National Leadership and Skills Conference in Louisville, Kentucky. The competition involved using knowledge of 3-D printing and computer aided drafting. “You are applying what you learn at SkillsUSA and can apply this to work,” he said. The trip to Kentucky also marked the first time Pizano had been out of Texas. Pizano grew up in Harlingen and graduated in 2014 from Harlingen High School. Pizano graduated from TSTC in 2016 with an Associate of Applied Science degree in Architectural Design and Engineering Graphics and earlier this year received an Associate of Science degree in Physics. 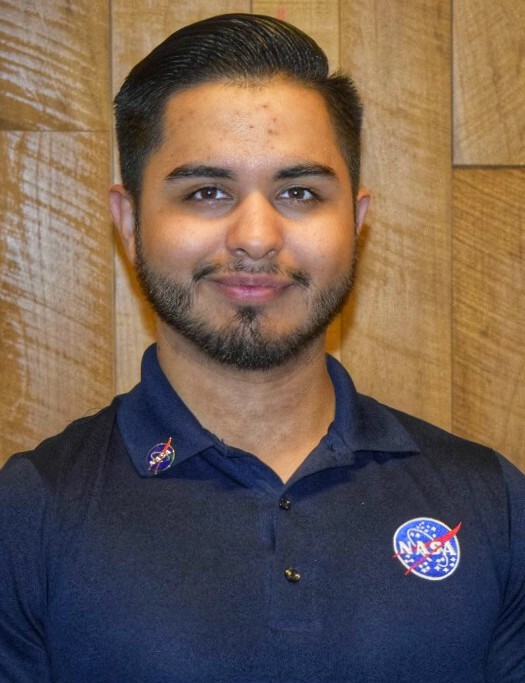 After his internship, he wants to study mechanical engineering and physics at The University of Texas Rio Grande Valley. Pizano wants to one day work full time in a civil service job at NASA. This entry was posted in Harlingen on July 8, 2018 by Daniel Perry.